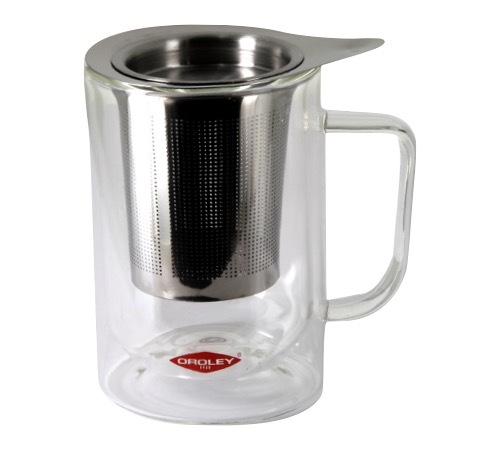 Arrezo mug from Oroley with a 30cl capacity, double-wall glass and stainless steel filter. Perfect for drinking your tea wherever you are. Oroley is a Spanish manufacturer of tableware accessories and kitchen utensils. As a manufacturer of coffee makers since 1950, Oroley has won over Spanish consumers with its reliable and high quality products.